Our cool football medical id alert key chain is great for boys and girls of all ages and adults too! 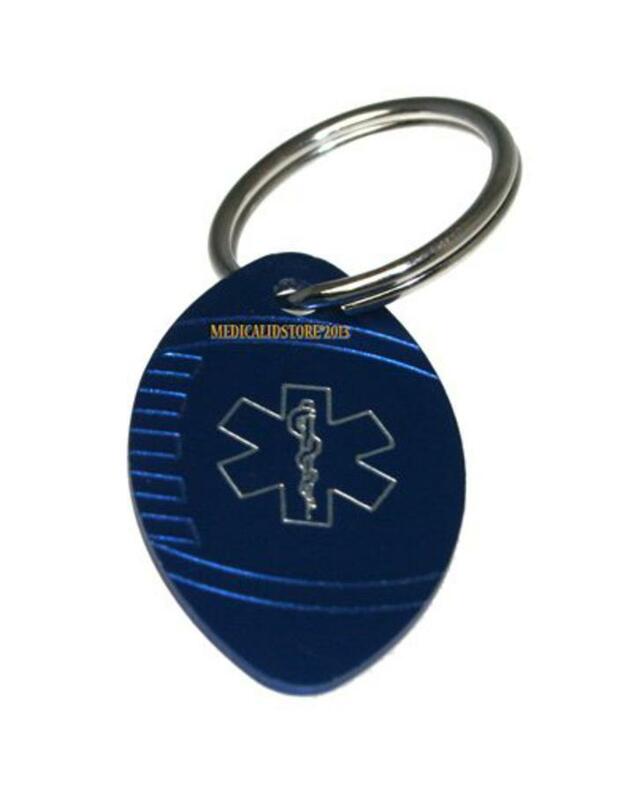 Make having your medical alert jewelry fun with our new custom engraved medical id alert key chain which is available in different colors too! Our football medical id alert tag is anodized aluminum,measures 1 1/2 x 15/16", custom engraved at no extra charge with up to 4 lines on the back. Also great for your luggage, book bags, back packs, infant baby and toddler diaper bags!